I’ve been linked through here quite a few times, and read a few of your blog entries. I love the stuff you guys do, and I just earned a month’s membership for running the first part of The Unhallowed AP in Infrno at Aethercon II this year. I’ve actually been trying to ‘plan’ for when my subscription activates, if you know what I mean. Anyways, thanks for the welcome. I will start to lend my meager opinion here in the forums where I think it will fit. Thanks for having me! Welcome to the site Dennis! Pardon the late posting on my part we’ve been busy putting together the Rise of the Drow. I’ve been gaming for 35 years, starting with Basic and AD+D. Over the years I’ve taken side trips into Gurps, Champions, Exalted, V+V, but have always returned to D+D. After realizing what a horror 4E was, I became a PF convert, and my group plays weekly (despite kids and 60 hour a week jobs). I run a campaign in the AAW setting (Aventyr? ), and another friend alternates with his campaign. After a recent reboot, I’m setting up the group to do Fallen Leaves: Into the White. So, I’m making a plug to keep that material ahead of my group! I’ve written filler material/side adventures in the setting for my group, but never thought it was good enough to publish. I love the material on AAW, and have become a devotee. I would like to see more cleanup of the Herolabs stats, and more maps with grids on them to make answering distance questions easier. The appeal is less prep for each session. Welcome everyone, and good job on this site! I stumbled onto this site by a facebook comment I read! Looks amazing so far from what I can see from a non-subscriber’s standpoint. Prob will bite the bullet and subscribe soon! Anyways, just wanted to say hello and introduce myself! Greetings, I’m Mikko! I heard about this site from a friend of mine and wanted to take a look. I play Pathfinder (and before that played D&D 3.5, earlier editions of D&D and a number of other RPGs). I also love to GM, and I’m an aspiring RPG designer and RPG design blogger. I registered to learn more about the Aventyr Campaign Setting, and of course, to get to know more PF/D&D players, GMs and designers alike. Madcow and Mikko – Welcome to the site. Glad to have you with us. I’m one of the lucky free lancers who works with AaW. I was so hugely miffed at Wotc when they ended 3.5 (and beloved living greyhawk) that I stopped gaming for about 3 years. I refused to buy Pathfinder (why should I – I had perfectly good 3.5 books). But when I decided to get back into gaming the organized play branch of Pathfinder sucked me in. I’m glad I still have those old books, because most AaW products present info for both systems – and honestly it fairly painless to cross over game platforms in any event. My first foray into writing for AaW was the Pathmaster Contest, and as last years winner, some of that Pathfinder stuff musta stuck. I can tell you that I had to go back and relearn some 3.5 when I wrote the just released Three Faces of the Muse for the site here, but it came out very nicely in the end. There are a good number of Pathfinder monsters reversed engineered back into 3.5 stats in that adventure. Aventyr is an interesting place – I’m looking forward to seeing it grow with the site and players (and aspiring designers and GMs) like you guys. The blog is a great source of info – Mike Myler tends it well. Feel free to shout out any questions – the gang here is great. Hi Dennis! Welcome to the site! Forgive the late response- things have been… busy, but we’re back and ready to rock! 😉 Hope to hear from you and other new subscribers soon! I found this site after running across the Rise of the Drow Kickstarter. I started gaming probably around 1985 when a friend at school showed me Traveller in those little black books. Since then I have tried many others like Call of Cthulhu, D&D (all editions), James Bond 007, Star Frontiers, Warhammer FRP, Alternity, and Pathfinder. These days I am more of a reader and collector than a gamer, my gaming groups having broken up many years ago for one reason or other. I run Pathfinder games for my nephew and niece during the holidays but that is pretty much it. Hi Andrew – there is some good reading here. 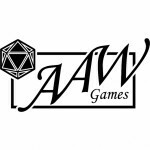 I also know that there is a community of virtual tabletop gamers as well – and AaW is great about putting out VTT versions of their maps to support those efforts. I’ve run a few games on virtual tabletops with skype and teamspeak – its different than face to face – better in some ways, worse in others, but it does open up a new pool of gaming mates it there are none where you are right now. You might also check out a living campaign (Pathfinder society play is very popular and you can get info at the Paizo site). This may hook you up with more gamers to put together a group to game excellent 3PP worlds like this one here at AaW. My name is Elton Robb. I am a scholar and a scientist with a Graphic Design Degree. I make very good campaign settings and have been using PATHFINDER to play them. I’m not married yet, but I don’t have any children running around that I know of. I think that will do for right now. name’s Andrew. Just got my Rise of the Drow pdfs from the Kickstarter campaign and came to check out information on Aventyr. My buddy and I went in together on the Kickstarter, so I registered and subscribed separate from his account. I am a long time GM for many game systems including BECMI, 1st, 2nd, 3rd (3.5), 4th, Pathfinder, Rolemaster Clasic, RMFRP, Cyberspace, Spacemaster, Spacemaster: Privateers, MERP, Palladium. and have played Paranoia, Shadowrun, Cyberpunk, and BESM. I was not able to get into Living Greyhawk as much as I would have liked before it went splat, LFR was ok and I have had a great deal of fun with Pathfinder Society. anywhoo, I am currently playing with Realmworks. I will reserve judgement until I have had more experience with it (so far I like it). 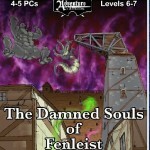 Hello Elton, vonzrucker, and soulcleave—welcome to AdventureAWeek.com! There’s a ton of great content you can drop into adventure/scenarios all over the place, and if you play near a PC, I strongly suggest making use of the soundboard! Hey all, seems like a good group here. My name is Andrew, been gaming for about 20 years on and off, and I was looking into some of the VTT stuff and stumbled across Adventure a Week in the process. So I bought the Pathfinder Core Rulebook and found it pretty easy after having done 3.5 before. As a dad with a career now I’m excited to try out the material here. I’ve always roled my own, but I figure I can take this and just tweak it to my liking. I am curious to try out the VTT as well. Is there a starting adventure series that is VTT ready? Oh and a shout out to Jonathan. I had some trouble with my subscription this weekend, and he was on it even though it wasn’t a business day. He went back and forth with email until we figured it out and got everything working. Nice to see a company with solid customer service and backing up their product. I was impressed.